What’s a little royal blue? 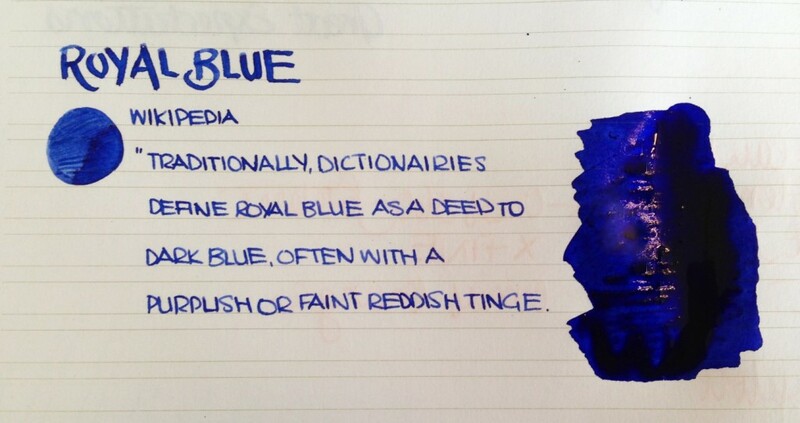 What’s your favorite royal blue? I used to think this was a boring color to put in my pens, and then it started to grow on me. I kept using it because many of them were easy to wash out, as many were washable, and I thought, maybe these aren’t so boring after all. Now, I have at least two bottles on hand at all times. Go figure! This entry was posted in Ink and tagged Montblanc. Bookmark the permalink. Follow any comments here with the RSS feed for this post. Post a comment or leave a trackback: Trackback URL.